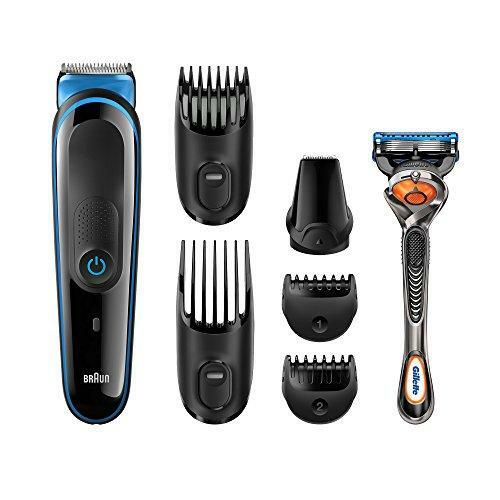 Braun Multi Grooming Kit is an ultimate hair trimmer set for hair styling and beard styling. It contains 7 tools, which are used for trim the short, long, or medium hair. The precision tool is available to contour the beard or hair in any style. For precise hair clipping, you can find the 0.5 to 21mm precision heads. The high performance of best hair trimmer kit is making hair styling and hair grooming easy at home. You can find the imported quality rechargeable trimmer, having sharp blade, at the reasonable price from Amazon online shopping in Pakistan. Hit order now and get it at your doorstep with cash on delivery facility. Lifetime lasting power and sharp blades - one charge provides 60 minutes of precision with no performance loss. 8 hour charge.